This entry was posted in Uncategorized on July 9, 2015 by folio. Abrasive blasting is also known as grit blasting or sandblasting. It is the process by which particles are propelled against a surface at high pressure. The method involves the use of a pressurized liquid and blasting media. The pressurized fluid pushes the abrasive media against the surface at high pressure thus cleaning it. Apart from cleaning, abrasive blasting is also used in roughening, smoothening, and shaping surfaces. The most common abrasive media is sand while air is the most widely used propellant. Most abrasive systems consist of a fluid container, a propeller, and a nozzle. The container holds the pressurized fluid. The propeller forces the abrasive media towards the target surface, and the nozzle controls the pressure with which the media leaves the fluid container. Water lubricates the abrasive media thus producing a smoother surface. Water also causes the abrasive material to flow evenly over the surface. The effect of this is a uniform surface. The use of water also minimises physical damage to the surface. Various abrasive media can be used in wet blasting depending on the desired surface. In wheel blasting, there is no propellant used. The method uses a rotating wheel. As the wheel rotates at high speed, it develops centrifugal force. The force propels the abrasive media towards the target surface. Metallic abrasives are the most widely used media in abrasive blasting. Wheel blasting has some advantages. It can blast large surfaces within a short time. It is also less costly for large surfaces compared to fluid based propellants. The main disadvantage of wheel blasting is that it can damage softer services. This is because the abrasive media are propelled at a very high velocity. It is also known as precision blasting or pencil blasting. Micro-abrasive blasting uses narrow nozzles to deliver micron-sized abrasive media to a part of a surface. The small nozzles help in intensifying and focusing the stream of abrasive media. The main advantage of pencil blasting is its accuracy. Furthermore, it can be used in cleaning tight fissures. Abrasive blasting processes can also be classified according to the media used. Different abrasive media are used to achieve different effects. For example, glass beads produce a smoother surface than sand. Another factor that affects the choice of abrasive media is reusability. Synthetic abrasives can be reclaimed and recycled. Cost and availability can also influence the selection of abrasive media. Abrasive blasting leads to air and noise pollution. For example, sandblasting releases silica dust into the air. The surfaces being cleaned might also release toxic materials such as lead and copper. These materials have adverse effects on the body when inhaled. Silica causes breathing difficulties, lung cancer, and silicosis. Copper and lead damage the lungs. Workers’ safety should be a priority during abrasive blasting. Find out more here: http://vacublast.com.au. The exposure to toxic materials should be minimized or eliminated altogether. This entry was posted in Uncategorized on November 20, 2017 by folio. If you want to make life easy and enjoyable without breaking the bank, investing in the artificial turf is a great idea. The fact that the kids can play on the artificial, turf all day without getting muddy is the main reason why homeowners love this gardening option. Besides saving money on the lawnmower and the fuel, you do not have to worry about the unsightly stains that the natural grass leaves on the clothes. By buying Fake Grass Brisbane homeowners save money on water and irrigation equipment. Since maintaining a garden is a daunting task for many people, a broad range of homeowners prefer an artificial lawn than a natural lawn that costs a fortune to maintain. While a natural lawn looks exceptional if you adhere to the requisite maintenance operations, many homeowners are unable to do so. As such, they end up with some patches that affect the overall beauty and functionality of the turf. 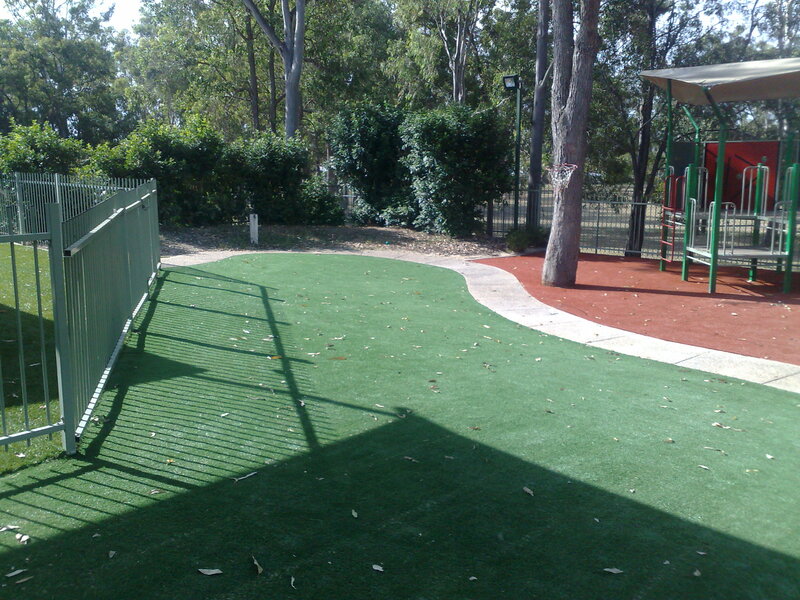 When it comes to buying synthetic grass online Brisbane organizations invest in the varieties that drain well. While installing the pop-up irrigation system is quite expensive, it can help you to keep your lawn looking lush and beautiful without the hassle of using a garden hose. However, you need to invest a fortune on the plumbing as well as the pop-up sprinklers. Besides spending money on the irrigation system, you must incur the cost of the water. When buying synthetic grass online Brisbane sports teams invest in the playable surfaces. Unless you have a borehole, you monthly water bills might rise significantly during the dry spell. Installing the synthetic grass is a sure way to avoid the cost of water as well as the irrigation equipment. When buying synthetic grass online Brisbane residents hope to save time and money on garden maintenance. Remember that besides maintaining your garden, the irrigation system requires maintenance too. Since the pump is likely to break down when overworked, the cost of maintaining a large garden can be significant if you plant the natural grass. When buying synthetic grass online Brisbane homeowners look for ways to cut cost. This entry was posted in Uncategorized on August 26, 2017 by folio. It’s easy to tell when the holiday season is approaching. Christmas trees, Christmas lights on houses, snowfall, and, of course, crazy sales going on in every store you enter. Another sign the season is on its way? Getting Christmas cards in the mail. The history of sending Christmas cards dates back to 1843. John Callcott Horsley illustrated a card for Sir Henry Cole and the tradition was born. Even though often known as Christmas cards, the sentiment for sending holiday greetings isn’t restricted to Christians. There are “Happy Holidays” cards and some dedicated to other holidays during the season. Also, lots of people opt to send “Happy New Year” cards, or at least add the sentiment to their Christmas cards. There is a wide variety of Christmas cards available. There are religious cards depicting the reason for the season. These cards often include the nativity scene or other photos and messages dedicated to the birth of Christ. Oftentimes, the cards are red and green. Blue, purple, silver, and gold are also popular holiday colors. Themes include holiday decorations, Christmas trees, scenes of winter wonderlands, and, of course, Santa Claus. Cards range from glitzy and modern to traditional and scripted. Another popular tradition for Christmas cards? Photo cards. Christmas cards can be designed online and you have the option to add one or a couple digital photos. It’s a great way to give out updated photos of your family to other loved ones. Many people also choose to update their loved ones about big events that have happened during the year. They compose a letter to let people know about special milestones their kids have had, new things going on in their life or job, and share about pets or vacations. Oftentimes, this becomes a tradition and people come to look for updated photo Christmas cards or letters each December. Sending Christmas cards do require investing a little time, whether designing cards, writing notes, or just addressing envelopes. However, loved ones will come to love receiving your special card each year. Plus, when you visit Aunt Shirley you don’t want to be the only one without a card up on the fireplace. This entry was posted in Uncategorized on July 30, 2017 by folio.